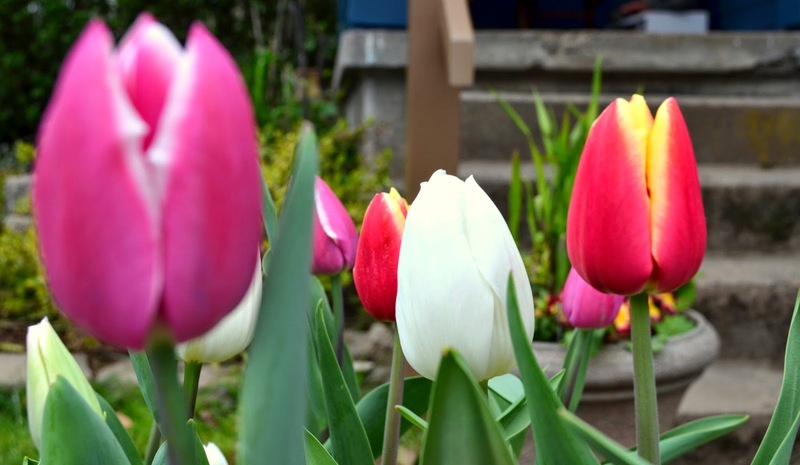 The signal that spring, true spring, has begun are the tulips blooming and showing off their amazing colors. 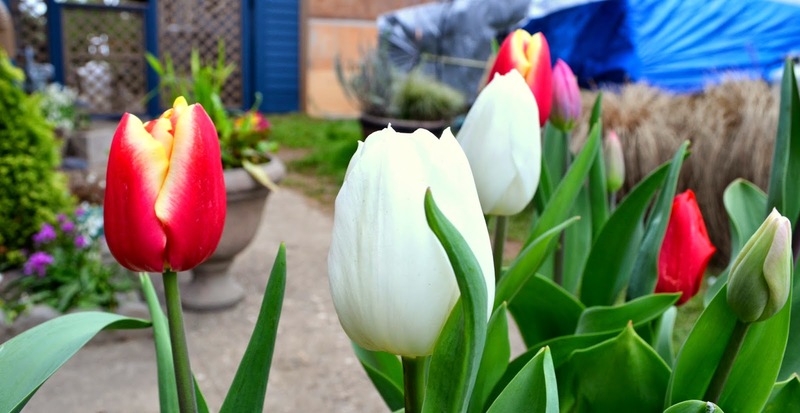 I have been growing tulips since I owned my first home at age 23. I have tasted defeat as often as I have felt victory, with tulips. Here in the Pacific Northwest, we have similar springs to the region of 'Holland' in the The Netherlands. Tulips grow very well here. 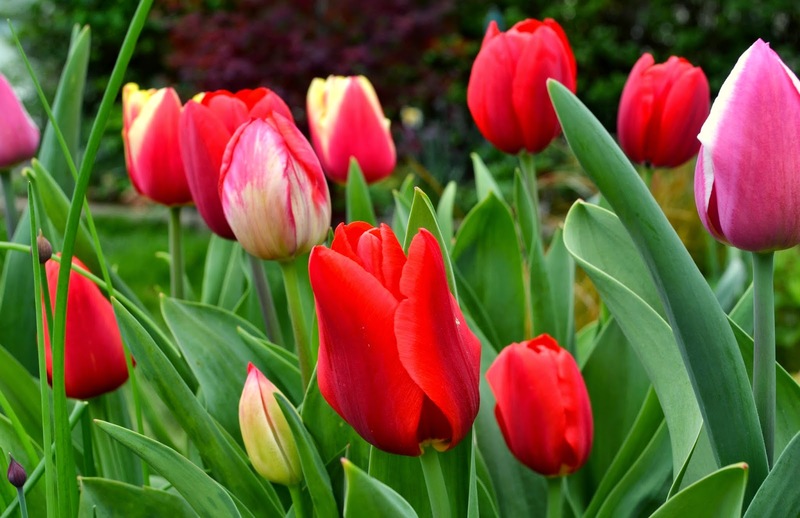 But, if you have a dense, clay soil, which is not uncommon to our region, it must be amended in order to grow tulips. I've lost so many pretty tulips to clay soil and a wet winter. They just drown. Poor little bulbs. Even when I've mounded them up. A wickedly wet winter of supreme soggy-ness can destroy the best laid plans. Hence, I've given up on planting tulips directly in the ground. Pots. I like to plant them the recommended four - six inches deep in pots. Pots that I can keep protected during a brutal cold snap (like we had this winter) and pots that I can over plant on top with seeds like lupine and nasturtium to add another season of interest. So, that's how I enjoy my tulips. No more nasty gophers or moles eating my precious bulbs or realizing by early March that they became water logged and are now mush. Pots. This year my pots are fully in bloom and it's a magnificent show of graceful and elegant color. 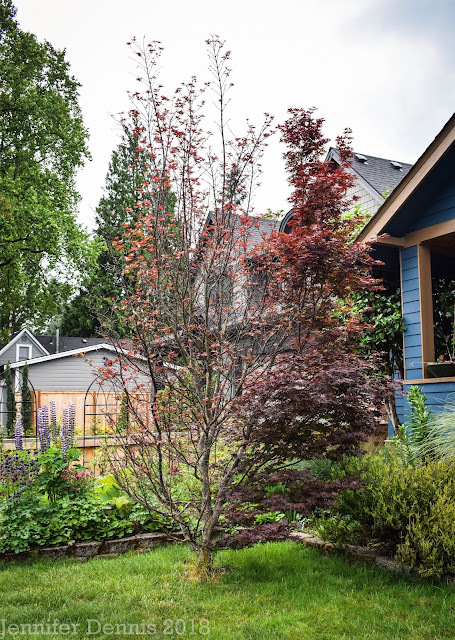 Check out Danger Garden's Blog to see who else is talking about their favorite plants of the week and find some new favorites. Pots are an excellent compromise for growing bulbs. Yours are beautiful, so colorful. I like the species tulips, the little early ones, that tend to increase each year rather than fade. I love that you have a connection to the Netherlands too, which is famous for its tulips. Beautiful sharp pictures of your tulips! They look great. I usually only get to enjoy my tulips for one season. I am sure our clay soil and freezing cold winters has a lot to do with that. Yours look wonderful. Did you bring any back from Holland? I am so thankful for those who grow tulips. I do not, but adore them and appreciate them in others gardens. I usually don't grow Tulips, because I have found them to be very vulnerable to the wind and rain we normally get at the time they are flowering. This year they would have been fine though! I was recently looking at some aerial photos of the bulb-fields in Holland, which were amazing. Theses bulbs evidently work best en masse. I had several tulips that were gifts from friends. They came up in colors that were all wrong for the places I had chosen, so I just finished transplanting them to friendlier spots while still in bloom. Fingers crossed that they will survive this odd treatment. Yours are lovely, and what a good idea to put them in pots. Not only can they be safe from our clay but they can also be moved around to the spots that suit them best. 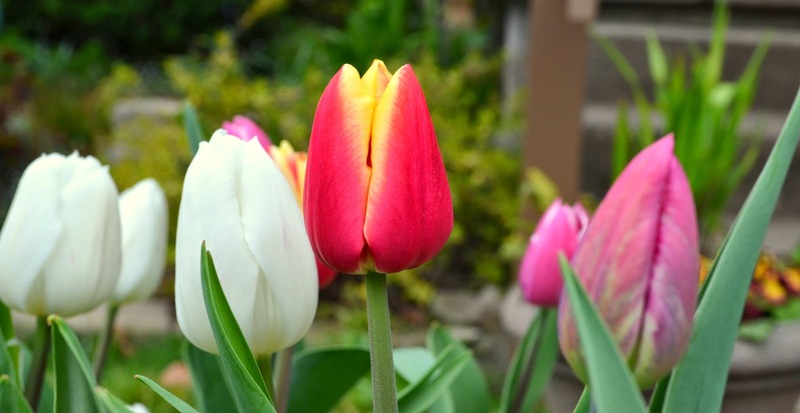 The tulips are very colorful in your garden. It is the first year of tulips in my garden, but I like them already.